For our private coaching time to run smoothly, please review the following details & procedures. If you are local to me in Columbia, MD, you may opt to have the first session in-person to meet face-to-face. If you aren’t local to me, we will hold all our sessions by phone and Skype (if outside the US). What’s included in our coaching work together? 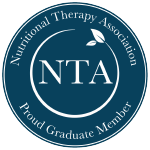 Nutritional Assessment Questionnaire Analysis – This is an online questionnaire that you will complete prior to our first session. We will use this personalized information to determine areas of top priority for our coaching work together. What takes place in our session time? Session time is spent discussing topics, your progress, forming action plans together and In this format, both education aspects (the WHY) and implementation (the HOW) are tackled. Each session builds upon the previous session, creating a gradual transition – no extreme overwhelm here! We’ll go at your individual pace. How long are our coaching sessions? The initial private coaching session is always 90 minutes and trust me, this time will fly by! Follow-up sessions usually are 60 minutes but there are times where we can decide to hold 30 minute follow-ups, using the bulk of time that we have in the package. We simply allocate the remaining session time appropriately. How frequent are our coaching sessions? Session frequency can vary. Initially, bi-weekly or monthly is usually the best frequency. However, there are situations where you may need more frequent support, such as weekly sessions. Because everyone is unique and each person travels through their journey at a different pace, we will appropriately schedule the sessions to best fit you. Also, keep in mind, session time can be used for email support as well. This is often helpful once we’ve been working together for some time and you need some email support here and there. It also may become appropriate at some point, to just check in quarterly. *Please note – scheduling in advance is strongly encouraged. I only hold private coaching sessions on limited days of the week. What is the session usage policy & refund policy? Sessions must be started within 30 days of package or session purchase. With a package purchase, the last session must be used within 6 months from the previous session. Refunds will not be issued. This is an investment in yourself and commitment to your health and well-being. What happens after our initial coaching package is completed? We will start off working in the package that you chose. The package establishes commitment, a plan and a vision in sight for our work together. That being said, once we have completed a package, that does not mean that I say, “Good luck and that’s it.” There is often more coaching time warranted. If so, you can choose to continue with another package or a-la-cart style sessions. Although we have already had our initial 90-minute session, if you choose another package, we would simply use the bulk session time as needed in 60-minute or 30-minute sessions. This can be discussed when needed. When can sessions be scheduled? Generally, private coaching sessions are available on Tuesdays and Thursdays. If there is a week where there is additional availability, that will be reflected in the scheduling options. It’s best to schedule in advance to get the best appointment time for you. Please treat your scheduled appointments the same way as medical/doctors’ appointments. I know life happens, but per the Private Coaching Agreement that you will sign, kindly allow 48 hours for any cancelled/rescheduled appointments. To schedule and start on the paperwork, payment is required through my website. For new clients, go HERE. For returning clients, go HERE. Does my practice accept insurance? Unfortunately, insurance companies don’t contract with non-licensed practitioners such as Nutritional Therapy Practitioners, Health Coaches, etc. Generally speaking, insurance companies are in the business of prescriptions, surgeries and procedures – usually not with empowering people to obtain the functional tools they need to heal and be well with optimal health. I do not believe that answers to true, sustainable health exists in the current mainstream conventional medical system. Because my approach is unique from the conventional medical approach (also different than the general nutritionist/registered dietician), my clients gladly invest in their health and pay out-of-pocket for my services. However, upon request, I can provide a detailed receipt with which you may attempt to submit to your insurance company for possible reimbursement. Additionally, my site is set up so that you can use an HSA/FSA card to process payment. However, please bear in mind that this is no guarantee that your HSA/FSA card will be accepted for a particular charge. HSA/FSA plans and cards tend to have many rules and regulations attached. If you run into any issues, the best thing to do is to reach out to your card’s bank/administrator to find out why.